Ranked No. 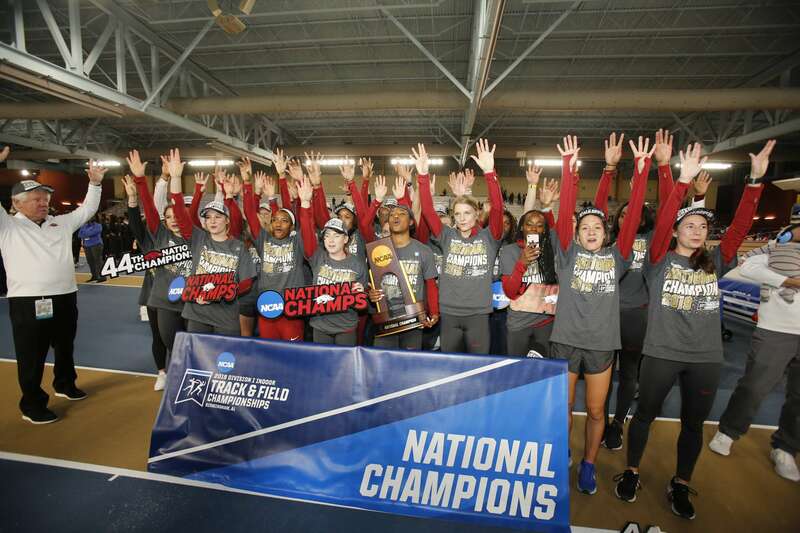 1 from the preseason to the NCAA Championships, Arkansas' women's track & field team brought home the third team title in program history, making it the 44th NCAA title between the men's and women's programs on The Hill. The Razorbacks scored 62 points to win the team title at the NCAA Indoor Championships on Saturday in Birmingham, Ala.